Shneur Sadon, a young Chabad Bochur from Paris, France just released his first cover song. 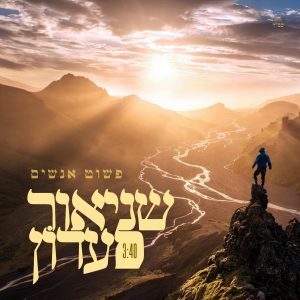 Originally sung by Avraham Fried (from his latest album) and composed by Udi Damari. Shneur decided to sing this song in his (Sepharadic) way, and the result is amazing !